Soft crushing and destemming. Fermentation at 23/26° C. 12/14 days of maceration and gentle pressing. 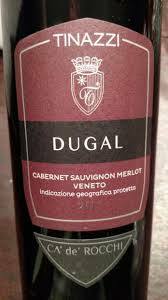 Pronunced aromas of red berry fruit with a light spicy note. Full bodied, velvety and persistent. Ideal with game, red meat and mature cheese. Temperature Serve at 18/20 °C. Uncork one hour before serving.